Recipes • Search nets approximations of beloved cookies and pastries, but quest for original recipes continues. Chris Detrick | The Salt Lake Tribune Banana cake with light yellow frosting, the recipe from Chef Ragnar Kjell. Chris Detrick | The Salt Lake Tribune Several Utah food bloggers have recipes for sweets that come close to the ZCMI recipes, i Chris Detrick | The Salt Lake Tribune Several Utah food bloggers have recipes for sweets that come close to the ZCMI recipes, i Chris Detrick | The Salt Lake Tribune Several Utah food bloggers have recipes for sweets that come close to the ZCMI recipes, i Chris Detrick | The Salt Lake Tribune Several Utah food bloggers have recipes for sweets that come close to the ZCMI recipes, i Chris Detrick | The Salt Lake Tribune Chocolate marshmallow brownies, the recipe from grandmasdesserts.blogspot.com. Chris Detrick | The Salt Lake Tribune Stöllen, the recipe from www.kingarthurflour.com/blog. Chris Detrick | The Salt Lake Tribune Grandma's chocolate chip cookies, recipe from jamiecooksitup.blogspot.com. Chris Detrick | The Salt Lake Tribune Oatmeal cherry chip cookies, the ecipe from cityhomecountryhome.blogspot.com. 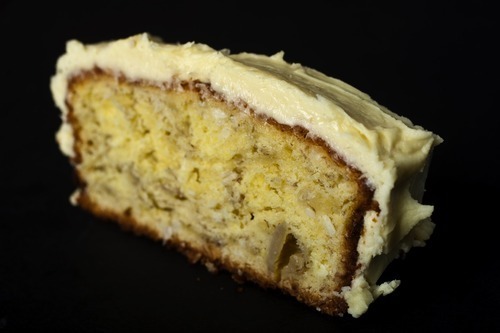 Chris Detrick | The Salt Lake Tribune Banana cake with light yellow frosting, the recipe from Chef Ragnar Kjell. 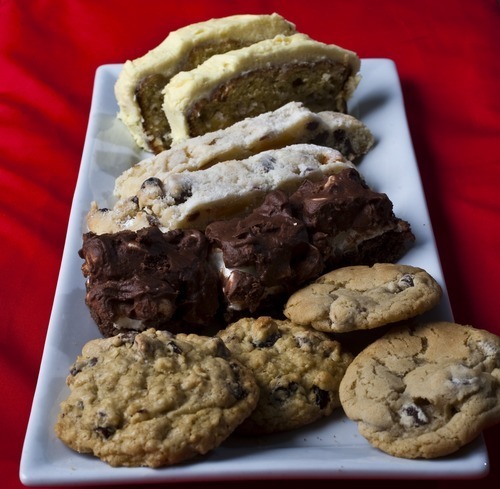 Chris Detrick | The Salt Lake Tribune Several Utah food bloggers have recipes for sweets that come close to the ZCMI recipes, including M&M cookies, chocolate chip cookies, oatmeal-cherry-chocolate chip cookies, chocolate marshmallow brownies, banana cake and German stollen. 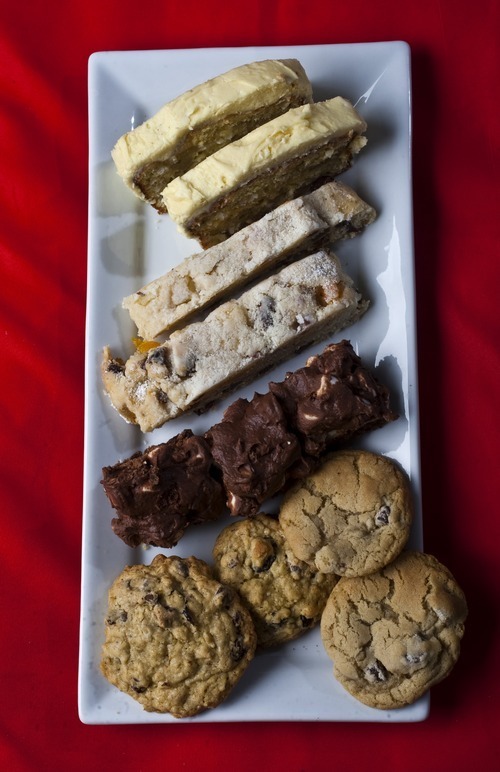 Chris Detrick | The Salt Lake Tribune Several Utah food bloggers have recipes for sweets that come close to the ZCMI recipes, including M&M cookies, chocolate chip cookies, oatmeal-cherry-chocolate chip cookies, chocolate marshmallow brownies, banana cake and German stollen. 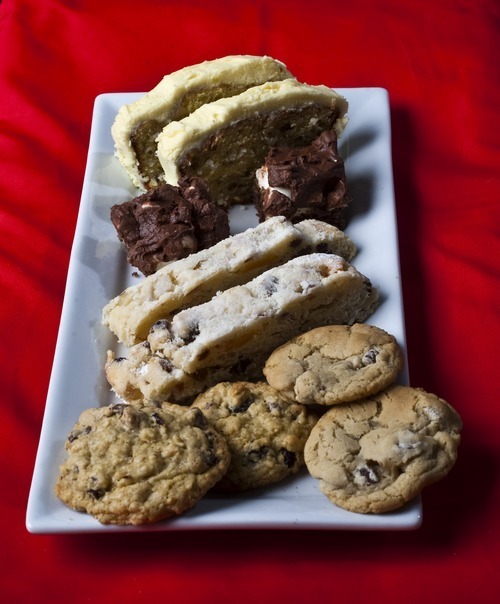 Chris Detrick | The Salt Lake Tribune Several Utah food bloggers have recipes for sweets that come close to the ZCMI recipes, including M&M cookies, chocolate chip cookies, oatmeal-cherry-chocolate chip cookies, chocolate marshmallow brownies, banana cake and German stollen. 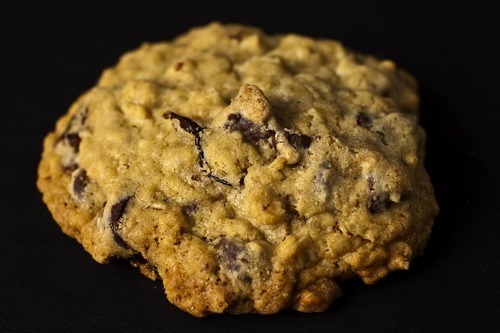 Chris Detrick | The Salt Lake Tribune Several Utah food bloggers have recipes for sweets that come close to the ZCMI recipes, including M&M cookies, chocolate chip cookies, oatmeal-cherry-chocolate chip cookies, chocolate marshmallow brownies, banana cake and German stollen. Chris Detrick | The Salt Lake Tribune Chocolate marshmallow brownies, the recipe from grandmasdesserts.blogspot.com. Chris Detrick | The Salt Lake Tribune Stöllen, the recipe from www.kingarthurflour.com/blog. Chris Detrick | The Salt Lake Tribune Grandma's chocolate chip cookies, recipe from jamiecooksitup.blogspot.com. Chris Detrick | The Salt Lake Tribune Oatmeal cherry chip cookies, the ecipe from cityhomecountryhome.blogspot.com. Shortly after the Dec. 31 sale 11 years ago of Zions Cooperative Mercantile Institution, readers began writing to Cuisine Quest requesting recipes for the famed store bakery's baked goods. Surely May Department Stores Co. (now Macy's Inc.), the new owners of the 131-year-old company, would share the hundreds of recipes they acquired in the sale  if only they realized how valued those recipes are to Utah customers. As a sign of that devotion, there's even a Facebook page (http://www.facebook.com/group.php?gid=67029349487&v=wall) of former ZCMI employees who occasionally discuss those lost recipes. Yet The Tribune has failed in repeated attempts to track down those local treasures. Over the years of this ongoing cuisine quest, Lion House head baker Brenda Hopkin has helped, offering recipes for almond cookies, date-filled cookies, brownies and coconut haystacks. But many of the rest of our requests simply remain unanswered. If it weren't for all those gooey, sweet memories. A trip to the department store's bakery made everything better, whether its goodies were a special treat while back-to-school shopping, an annual birthday tradition or something to look forward to for those who disdained shopping. My own fond memories are of thick slices of warm white bread liberally slathered with butter and strawberry preserves, along with green frosting mint brownies. Inspired by such taste memories, I realized if I could find hundreds of alumni to invite to Olympus High School's 20-year reunion, surely I could find ZCMI's long-lost recipes. Names led to phone calls which led to meetings. Meetings led to staking out a house, and staking out a house led to nowhere. During my search, I've questioned whether the recipes are as good as customers remember. What if the recipes used mixes or ingredients not available to the home cook? Though I can't answer those questions now, I can at least answer six readers' requests for ZCMI's baked items. 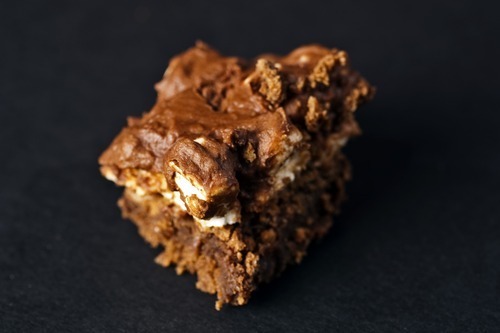 Several Utah food bloggers have recipes for sweets on their blogs that come close to the ZCMI recipes. 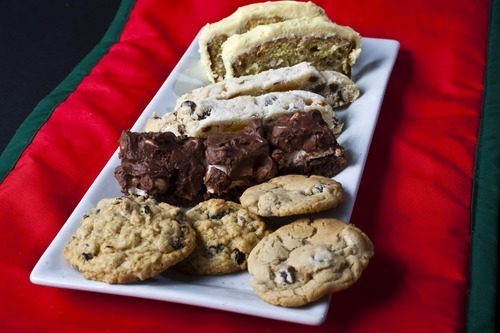 There are M&M cookies for Yvonne Pauls, chocolate chip cookies for Afton Prescott, oatmeal-cherry-chocolate chip cookies for Patrice Becker, chocolate marshmallow brownies for Laura Powell,banana cake for Mary East and German stollen for Linda Pfaff. I haven't given up yet; I'm just taking a break from all the detective work. If anyone knows people who worked at ZCMI's bakeries, please contact me at lneilson@sltrib.com. The complete list of recipes follow, or some can be found at left. To this chocolate chip cookie recipe, sisters Sallie Sullivan and Julia Izzolo, of mysisterskitchen2009.blogspot.com, added M&Ms to this chocolate chip cookie recipe from Cook's Illustrated. For chewy cookies, be sure to let them cool completely on baking sheets. Heat the oven to 325 degrees and adjust the oven racks to the upper and lower positions. Line two rimmed baking sheets with parchment paper. In a medium bowl, combine the flour, salt and baking soda and set aside. In the bowl of a standing mixer, cream butter and sugars until thoroughly blended. Add the egg, yolk and vanilla. Add dry ingredients; mix until just combined. Stir in the chips and M&Ms. Form a scant 1/4-cup ball of dough. Holding the dough ball, using the fingertips of both hands, pull into two equal halves. 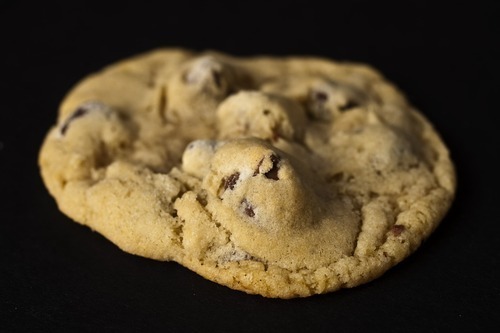 Rotate halves 90 degrees and, with jagged surfaces exposed, join halves together at their base, again forming a single cookie, being careful not to smooth dough's uneven surface. Place formed dough balls onto prepared sheets, up to nine balls per sheet. Bake, reversing baking sheets' positions halfway through baking, until cookies are light golden brown and outer edges start to harden yet centers are still soft and puffy, 13 to 18 minutes. Let cookies cool on cookie sheets. Serve or store in airtight containers. Though she has five chocolate chip cookie recipes, Jamie of Jamiecooksitup.blogspot.com likes her mother-in-law's recipe the best. In a bowl of a standing mixer, cream the butter and sugars until light and fluffy. Add the eggs and vanilla and beat for about 3 minutes. In another bowl, combine the salt, baking soda, baking powder and flour. Add the dry ingredients to the creamed ingredients and mix until all the flour is incorporated. Add the chocolate chips and mix. Roll into balls and place onto baking sheets. Bake until the cookies just begin to crack, 8 to 10 minutes. Let cookies cool on baking sheets for about 5 minutes, then transfer to a wire rack to cool completely. From blogger KC at grandmasdesserts.blogspot.com's Grandma Travis, who says they've been a staple at many a family gathering. Heat the oven to 350 degrees and lightly grease a rimmed baking sheet or jelly roll pan. In a mixing bowl, cream the butter and sugar until pale and fluffy. Add the vanilla and mix well. Add the eggs, one at a time, beating well after each egg is added. Add the flour, cocoa, salt and nuts, if using. Spread the batter onto the prepared sheet. Bake for 25 minutes. Remove from the oven and immediately cover with the marshmallows. Return to the oven and let cook for 3 minutes. Remove from the oven and allow to cool completely. Meanwhile, make the frosting. In a small bowl, combine the butter, cocoa, evaporated milk and confectioners' sugar. Spread a thin layer of frosting over the brownies. Cut into small squares and serve. Servings • 70 (1-inch) squares. Heat the oven to 350 degrees and grease two loaf pans or square baking pans. In the bowl of a standing mixer on medium-high speed, beat the eggs and sugar together until thick and pale, about 3 minutes. Add cream and beat for 1 minute longer. Sift flour, add to bowl and stir with a wooden spoon or spatula. Peel bananas and smash coarsely with a fork. Add to batter, along with coconut, if using, and stir to combine. Pour into prepared pans and bake until top is golden brown, about 1 hour. Let cool in pans for 5 minutes then transfer to wire racks to cool completely. Meanwhile, make the frosting. In the bowl of a standing mixer on medium speed, beat the butter and sugar. Add the milk and vanilla and mix until frosting is pale and fluffy. Fold in the food coloring, if using. Frost the two cakes and sprinkle with almonds. The bloggers from kingarthurflour.blogspot.com call this recipe for the German Christmas cake the "I didn't think I liked stollen but, boy, was I wrong" recipe. These loaves are half-cake, half-biscuit in texture. Heat the oven to 325 degrees. Lightly grease a baking sheet or line with parchment paper. In a bowl, whisk together the flour, sugar, baking powder and salt. Cut the cold butter into small chunks, then blend it into the flour mixture to form uneven crumbs. In a separate bowl, mix together the ricotta, egg, vanilla and lemon oil. Toss the fruit and almonds into the flour mixture until evenly distributed. Then combine the wet and dry ingredients, mixing until most of the flour is moistened. Turn the dough out onto a lightly floured work surface, and knead it two or three times, until it holds together. Divide in half. Roll each piece of dough into an 8-inch-by-7-inch oval about a 1/2 inch thick. Fold each piece of dough roughly in half, leaving the edge of the top half about 1/2 inch short of the edge of the bottom half. Folding the dough the long way will give you a longer, narrower stollen, with shorter slices; folding the short way will give you a wider, fatter stollen, with longer slices. 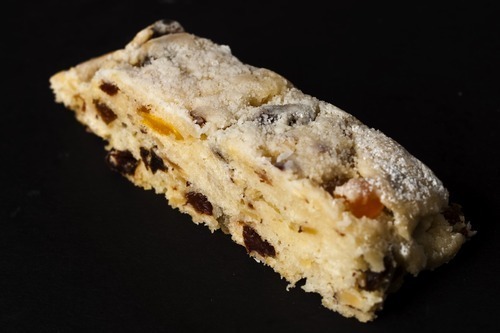 Use the edge of your hand to press the dough to seal about 1 inch in back of the open edge; this will make the traditional stollen shape. It's also the familiar Parker House roll shape, if you've ever made them. Place the shaped stollen on the prepared sheet. Bake until very lightly browned around the edges, about 40 minutes. A cake tester inserted into the center should come out clean. Remove the stollen from the oven, and transfer to a rack. Brush them each with 2 to 3 tablespoons melted butter. Sprinkle heavily with confectioners' sugar. Allow the stollen to cool, then brush with butter again, and sprinkle with sugar again. Wrap in plastic wrap until ready to serve. Plastic-wrapped stollen will keep well for 2 weeks or so at room temperature. Blogger Bonnie at cityhomecountryhome.blogspot.com seldom makes cookies because they're too much of a temptation. When she does make them, she turns to this recipe often. She may also throw in a handful of chopped roasted, salted peanuts. They also freeze really well. In the bowl of a standing mixer, add the butter and sugars. Beat on medium speed until the mixture is fluffy and pale, 3-4 minutes. Add the eggs and vanilla and beat well. In another bowl, combine the flour, baking powder and salt. Add to the creamed mixture and mix just until blended. Don't overbeat or the cookies will be tough. Stir in the oats, cherries, and chocolate chips and mix just until combined. Drop by rounded tablespoons onto baking sheets. Bake until the cookies are golden brown on the edges, 12-14 minutes. Let cool on the baking sheet for 1 minute, then remove to cool on a wire rack. Store in a tightly covered container or freeze after cooling.